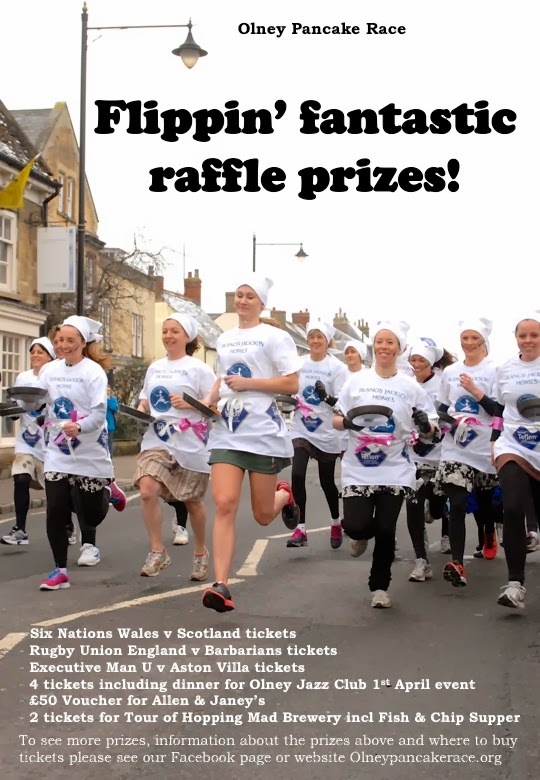 We're counting down to the big event in March, the Olney Pancake race. One month to go as of yesterday, excitement is building as advertising gets out and people start practicing for the big race… I assume they'll be practicing anyway, with such great prizes on offer! Prizes this year range from Six Nations rugby tickets, to football tickets and vouchers. With such a limited number of spaces available, 25 to be precise, we're guessing most of them have already been snatched up by the Olney ladies wanting to compete and catch a moment of fame. The highly famous event attracts numerous reporters and onlookers every year, and so this year is set to be no different. We're looking forward to it!